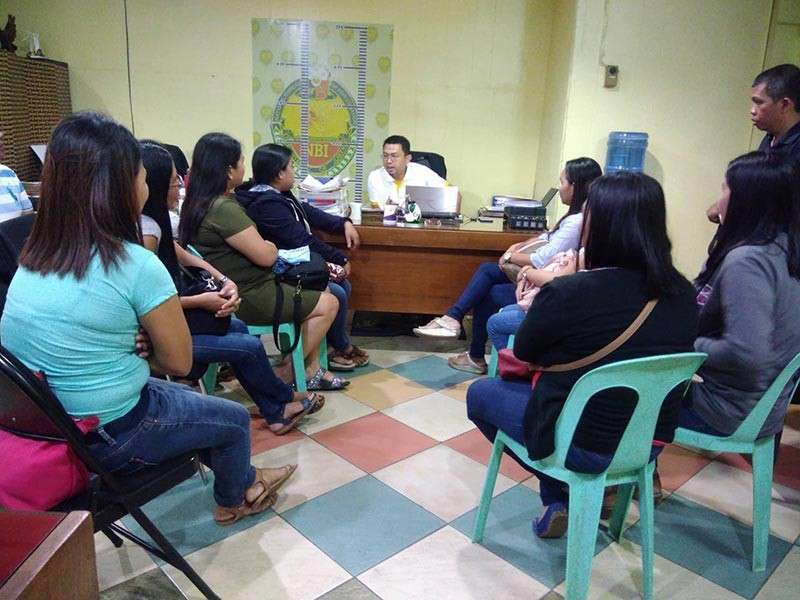 AT LEAST 11 people, mostly teachers from one of the towns in Misamis Oriental have sought help from the National Bureau of Investigation (NBI)-Northern Mindanao on Wednesday, January 23, after they were victimized by an alleged fraudulent multi-million peso booking and insurance investment scheme. The victims complained a certain Frederick Valdez and Fredrich Manguiran for failure to make good of their promised return of investment. The two were said to be business partners who supposedly run a Travel and Tour business and health insurance firm. One of the investors, who requested anonymity, said they were enticed to put money in the business because of the promised return of investment of 10-12 percent monthly, without doing anything. She said her total investment reached to around P23 million, including three other investors under her. "Nag-start ko og invest last 2016 first sa booking franchise then sa 2018 nag invest ko sa health insurance. Nag sugod mi wala kadawat sa monthly income last August," she said. "Mura man siya'g Ponzi-like scheme kay nag-invest si A iyang gibayad kang B, ingon ana nga scheme," she added. She said several demand letters were sent to Valdez but it did not work. Also, the checks issued to her have all bounced. The complainants are eager to file formal complaints before the court through the NBI-Northern Mindanao, as they all want their money back. On the other hand, agents of the NBI-Northern Mindanao yesterday started collecting the statements of the victims, before appropriate actions will be taken. The respondents have yet to respond when reached for comment.